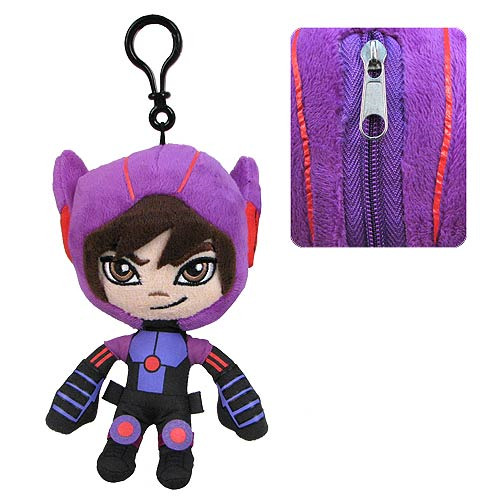 From the hit Disney film Big Hero 6 comes the Big Hero 6 Hiro 7-Inch Plush Coin Purse. Disney's computer-animated movie Big Hero 6 is inspired by the Marvel Comics superhero team. Hiro is ready for action and snuggling. Are you? Measures about 7-inches tall. Ages 4 and up.